Last week, Dunkin’ Donuts unveiled new branding for 2019, with an official name change to Dunkin’. The change will go into effect in January 2019 and appear on the brand’s packaging, advertising, website, and social media channels to emphasize the company’s focus on coffee. Over the course of the year, several companies have taken their shot at rebranding themselves. But, why? Rebranding can breathe new life into your business or product, but it has to be done with a focus on strategy, a clearly understood process, creative vision & thought, and most of all for the right reasons. So, if you are looking to rebrand your business, it is best to remember these essential components to set your new brand up for success. 1. Ask yourself, should you rebrand? The honest truth about rebranding is that many companies will do it at some point. Your brand is the face and voice of your business. If you no longer think it is a good fit, you should consider rebranding your company. Typically, when the needs of your customers change or you do not stand out in comparison to your competitors, this is when companies revamp their image. What are the key projects? What are the challenges? What are the things that are most likely to mess things up? These are vital questions you must ask yourself when forging your rebranding strategy. 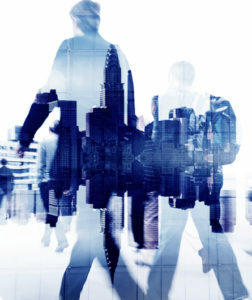 With a quick and responsible team, frequent check-ins can surface issues long before they affect timelines and they can bring up issues that might not have been considered before. 3. Consider what your customers think. Remember IHOb? Even though it turned out to be an elaborate “scam” to generate awareness to promote their new burgers (it worked, kind of), IHOP’s rebranding effort as IHOb caused mixed reactions from their customers. So, keep in mind, a great rebrand is exciting to your customers as well as your internal team. Plan your strategy with their needs at the top of your mind. 4. Stay true to yourself and be prepared. Rebranding can be exciting, but very exhausting. You should be aware, it can be tempting to pick elements from other successful brands and try to squeeze them into your rebrand. However, you shouldn’t. Launch day is only the first step in fulfilling your brand vision. The rebrand you adopt needs to guide how you conduct business from that day forward. While you have likely lived and breathed this identity for months, the same does not go for the rest of the world. With the right launch, not only will you be excited about your brand’s future, but your audience will be too. 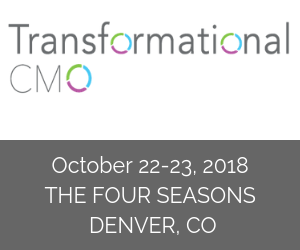 This October, the 8th Transformational CMO Assembly in Denver is a unique event that challenges our attendees to learn how to anticipate what’s next for the highly complex marketing environment that has emerged throughout the year through a series of executive education roundtables, keynote presentations, collaborative think tanks, educational workshops, and networking sessions with our industry experts and advisory board over the course of 2 days. What makes our assembly so exclusive is our exclusive content. And what better way than getting exclusive content than by downloading our brochure created with you in mind?